The shell of Summerhill, County Mayo, a house that retained its roof within living memory. Summerhill is believed to have been built in the 1770s for the Palmer family its five-bay façade centred on a pedimented breakfront with first-floor Venetian window. The site on raised ground was chosen to provide a view down towards the Palmerstown river beside which stand the ruins of the Dominican Rathfran Friary. Today the two complexes rival each other in decay. In February 1879 Elisabeth, Empress of Austria, popularly known then and since as Sisi, arrived in County Meath. Unhappily married, restless and inclined to melancholy, she found distraction in hunting and it was this sport which brought her to Ireland. Throughout her six-week stay in the country she followed the hounds almost daily with the Ward Union, the Meath and the Kildare Hunts, always accompanied by the most proficient horseman of his generation Captain William ‘Bay’ Middleton, widely rumoured to be her lover. Her own animals not proving suitable for the Irish terrain, local owners lent or sold the Empress their mounts although the Master of the Meath Hunt Captain Robert Fowler of Rahinstown was heard to expostulate ‘I’m not going to have any damned Empress buying my daughter’s horse.’ Nevertheless before her departure, Elisabeth presented a riding crop to Fowler: it was sold by Adam’s of Dublin in September 2010 for €28,000. There was already a residence in the immediate vicinity, the ruins of which survive to the present. Known as Lynch’s Castle, it is a late 16th century tower house probably occupied up to the time of Summerhill’s construction. 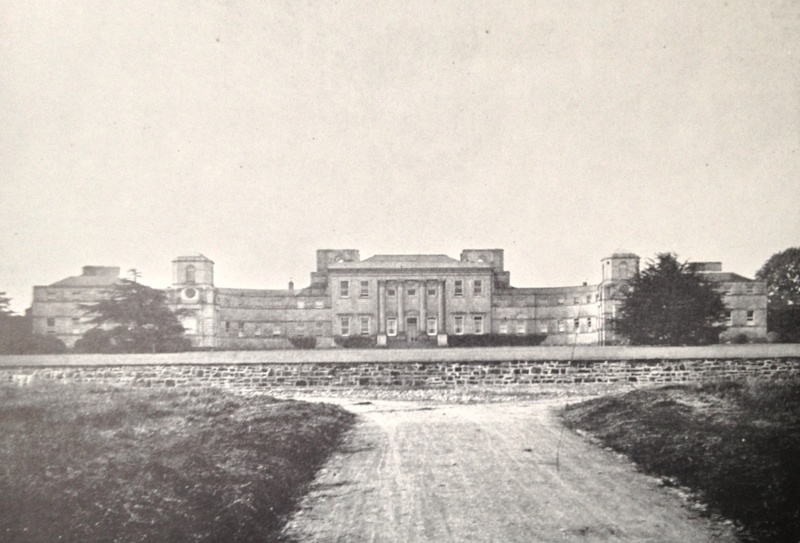 The position selected for Rowley’s new house could scarcely have been better – the 19th century English architect C.R. Cockerell thought ‘few sites more magnificently chosen – the close of a long incline so that the gradual approach along a tree-lined avenue created the impression of impending drama. Finally one reached the entrance front, a massive two-storey, seven-bay block the central feature of which were four towering Corinthian columns, the whole executed in crisply cut limestone. On either side two-storey quadrants swept away from the house towards equally vast pavilions topped by towers and shallow domes. We must imagine the original interiors of Summerhill to have been as superb as its exterior since little record of them survive. The house was seriously damaged by fire in the early 19th century and thereafter successive generations of the Rowley owners – it had passed to a branch of the Taylours of Headfort, the first of whom was elevated to the peerage as Baron Langford in 1800 after voting in favour of the Act of Union – never seem to have had sufficient funds to oversee a comprehensive refurbishment. In fact in 1851 the estate was offered for sale. 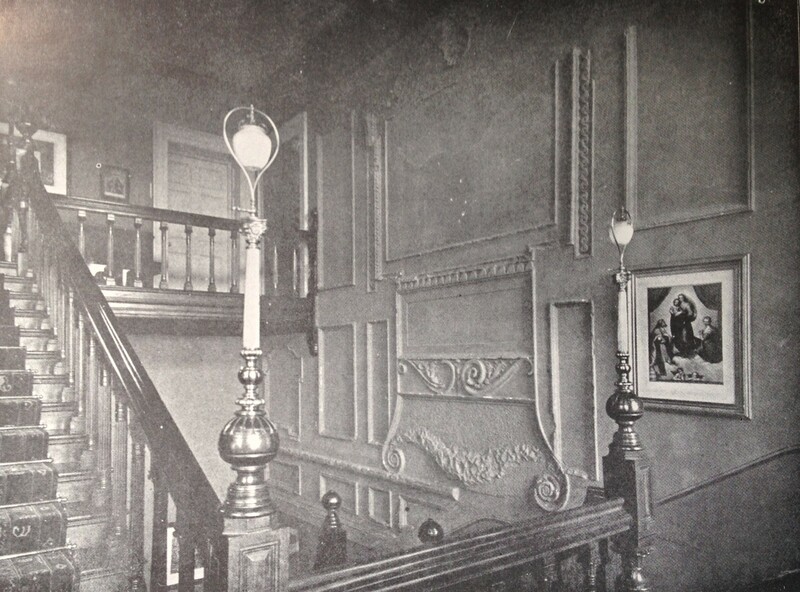 However, some work was done on the house, including a new main staircase, in the 1870s, not long before Summerhill was taken by the Empress Elisabeth. 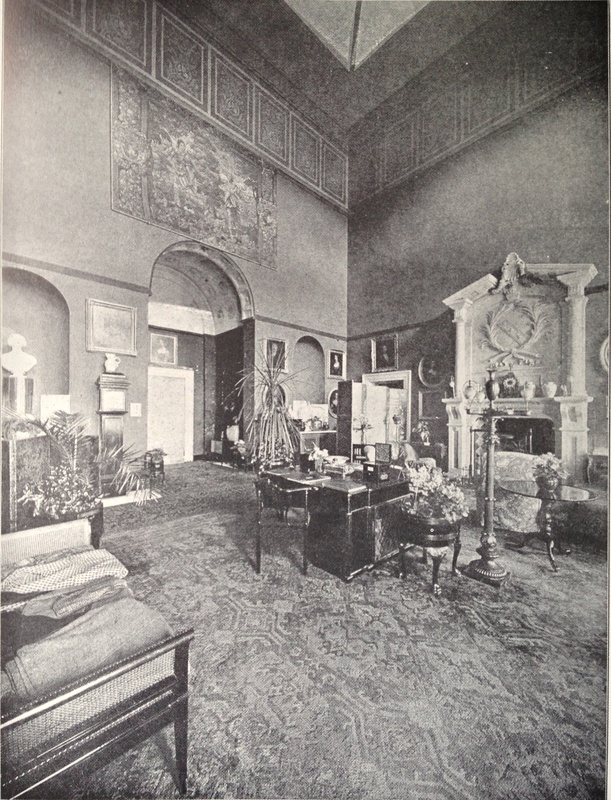 A handful of photographs, reproduced in the invaluable Irish Georgian Society Records of 1913 and shown above give us an idea of the house’s decoration, not least that of the double-height entrance hall with its then-compulsory potted palms (just as the wall above the stairs carries an equally inevitable reproduction of Raphael’s Sistine Madonna). 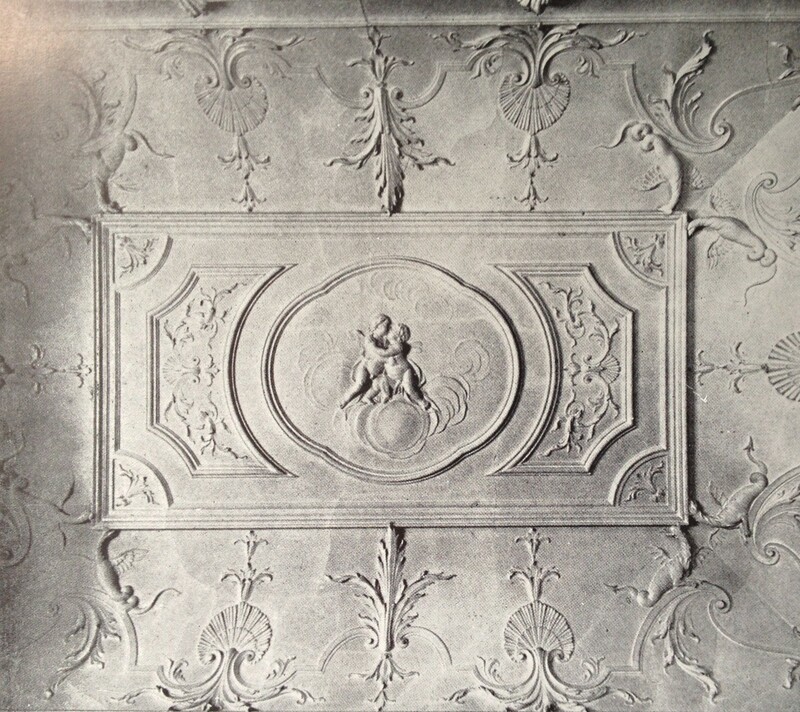 We know the drawing room and small dining room both contained elaborate plasterwork and there were clearly some splendid chimneypieces. The IGS Records also lists many significant paintings in the main rooms. 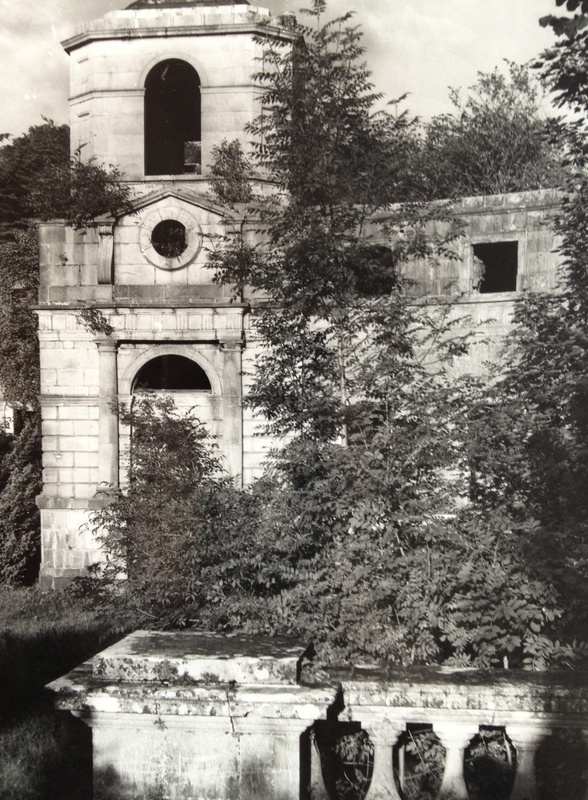 Before the end of the 19th century the large gothic mausoleum likewise built by Hercules Langford Rowley in 1781 not far from the house had fallen into a ruinous state; some of its exterior walls survive, along with a handful of their curious arched niches. 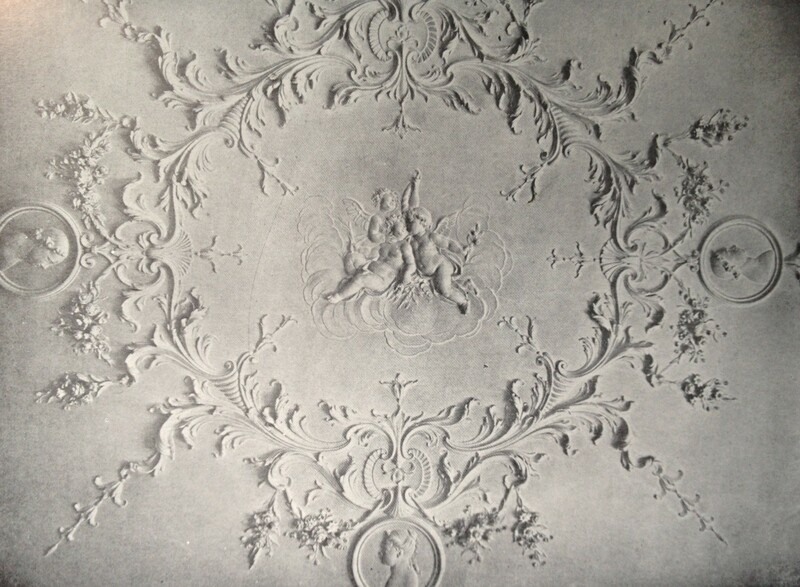 Originally it contained a large memorial carved by Thomas Banks and commemorating the death of a beloved granddaughter, the Hon Mary Pakenham (Rowley’s daughter had married Lord Longford, another of whose children Catherine would in turn marry the Hon Arthur Wellesley, future Duke of Wellington). The Banks memorial was rescued from the mausoleum and moved into the main house at Summerhill, there seemingly safe from any damage. 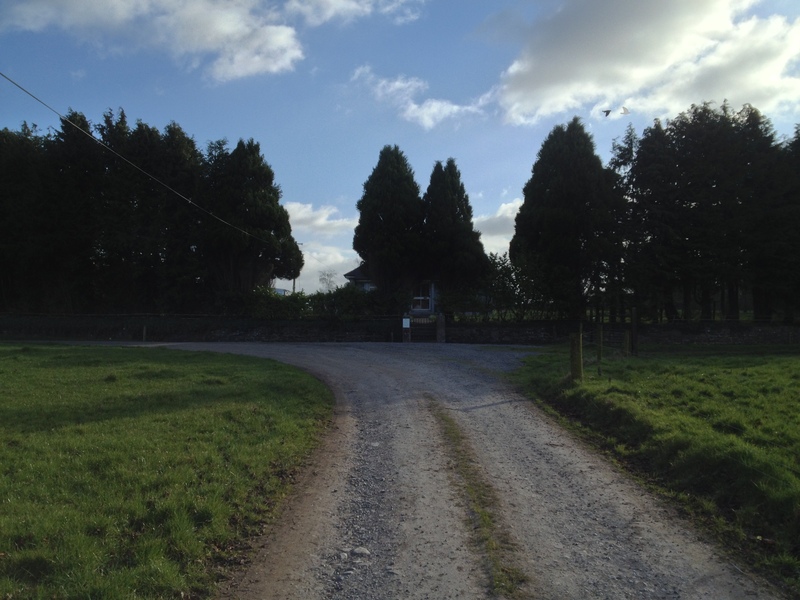 On the night of 4th February 1922 the Rowleys were away but five staff remained in the house. When a knock came on the back door, the butler refused to open it but shortly afterwards he heard the door being knocked down. He and the others escaped through an exit in the basement and walked towards the farm; turning around, they saw flames rapidly spreading through the house which by morning was left a smoking shell. It has never been ascertained who was responsible for the burning of Summerhill or why it was attacked in this way, but most likely as elsewhere during the same period it was perceived as representing the old regime and therefore a target for republicans. Afterwards, like other house owners whose property had suffered a similar fate, the Rowleys applied to the new Free State government for compensation, asking for £100,000 to rebuild Summerhill; initially they were offered £65,000 but by April 1923 this had been cut to £16,775 with the condition that at least £12,000 of the sum had to be spent on building some kind of residence on the site, otherwise only £2,000 would be given. The compensation figure was later raised to £27,500 with no obligation to build but by then the Rowleys left the country (one member of the family had already declared ‘Nothing would induce me to live in Ireland if I was paid to do so…’). For the next thirty-five years Summerhill stood an empty shell. 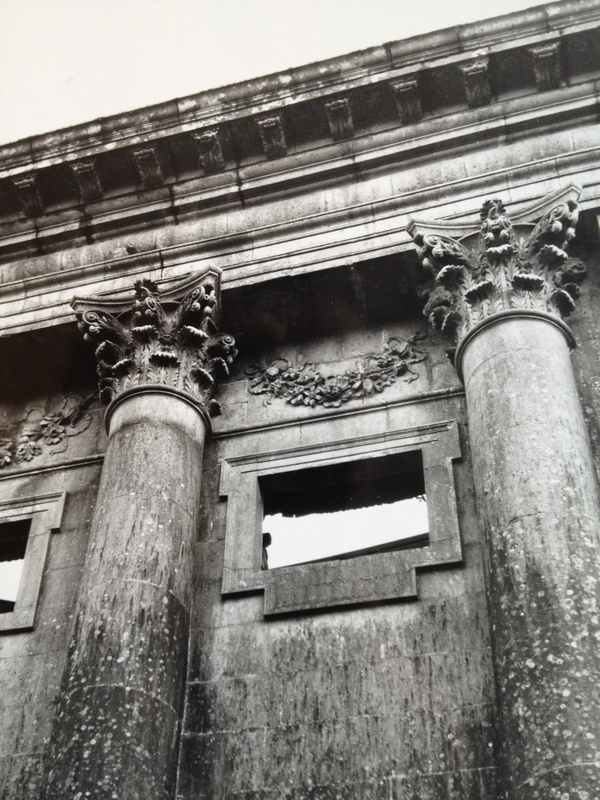 The late Mark Bence-Jones who saw the house during this period later wrote, ‘Even in its ruinous state, Summerhill was one of the wonders of Ireland; in fact like Vanbrugh’s Seaton Delaval, it gained added drama from being a burnt-out shell. The calcining of the central feature of the garden front looked like more fantastic rustication; the stonework of the side arches was more beautiful than ever mottled with red lichen; and as the entrance front came into sight, one first became aware that it was a ruin by noticing daylight showing through the front door.’ In 1947 Maurice Craig visited the site. His wonderfully atmospheric photographs from that time corroborate Bence-Jones’ description. Seaton Delaval still stands, but Summerhill is no more. In 1957 the house was demolished, apparently without any objection. Today the site is occupied by a bungalow of the most diminutive proportions surrounded by evergreens which thereby obscure the view which made this spot so special. The difference in scale and style between the original house and its replacement would be hilarious was the loss of Summerhill not so tragic. The village at its former entrance gates gives visitors no indication that close by stood one of Ireland’s greatest architectural beauties. Indeed one suspects local residents themselves are mostly unaware of what they have lost since there is scant evidence of concern for the welfare of other old buildings in the vicinity. I realise that this photograph may not look especially inspiring. 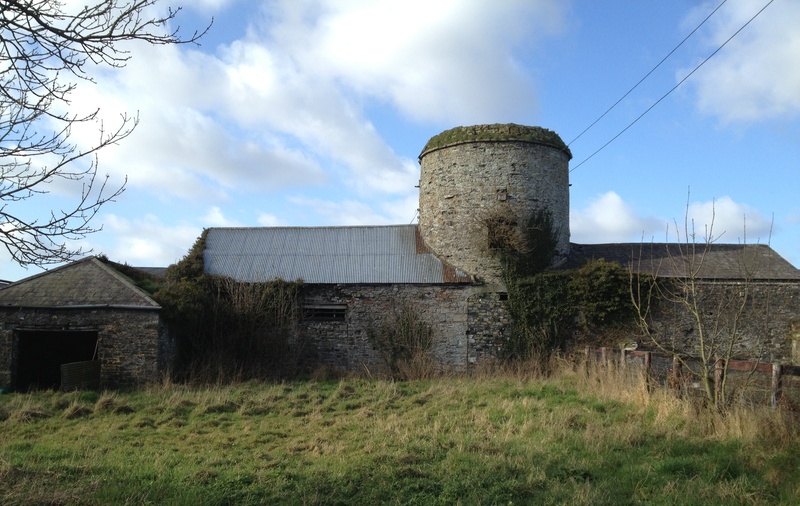 However, it shows the residue of yard buildings lying to the east of Summerhill, County Meath, site of the greatest of Ireland’s country houses lost in the last century. Scarcely anything remains of this immense baroque palace or of the many other buildings once found throughout the Summerhill estate. This particular block, today used to shelter cattle, is a rare survival from otherwise widespread destruction. I will be writing more on Summerhill in a few weeks’ time.